Whether you are expanding on your branch locations or plan to remodel an existing building, Recovery Solutions can provide your financial institution with a Mobile Facility set-up specifically for the banking industry. A temporary solution which allows you to service your customers while a permanent facility is under construction. Recovery Solutions provides a full-service solution to the financial industry. Apart from its unique disaster recovery program, we offer a variety of lease options to fit your needs. A temporary mobile bank facility can be the perfect answer when you need to provide a full-service retail business in which to service your customers, while a permanent location is under construction. 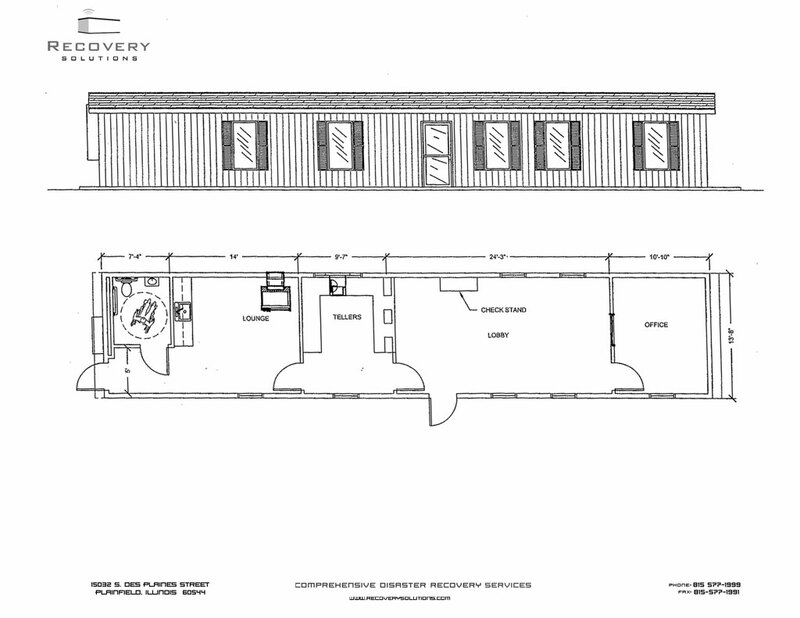 Lease options range from a single-wide (14’ x 66’) facility to a spacious double wide (24’ x 66’). All mobile facilities are fully integrated to imitate a “Bank” environment from Teller counters to Drive-up windows. 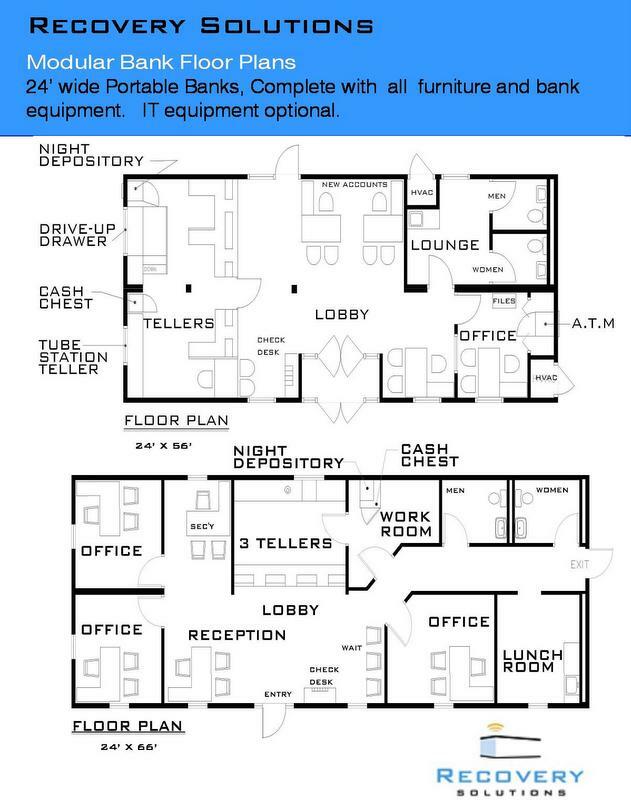 In addition to the building, we offer additional options to fully furnish your mobile bank. We’re the experts when it comes to planning, set-up, and removal of your mobile bank. Because we cater to the banking industry, our team is experienced in every stage of the process and can guide you through the process – making sure no important details are overlooked. Please Contact Us today for your mobile financial facility needs. Our team can assemble the perfect solution for your institution.